Check out the Disneyland Hours for October 2019, including Disneyland opening and closing hours. October means Halloween at Disneyland, with the park decorated in the Halloween spirit. You can also join in the fun for Mickey's Halloween Party on select nights for a separate admission price. When is Halloween Time at Disneyland? Enjoy the special decorations and scary rides from mid September through Halloween night. This year Halloween is on Thursday October 31 2019. October is a special treat at Disneyland park, decorated for Halloween throughout the entire month (from mid September through October 31 2019. You can enjoy this Halloween time, or buy a separate ticket for Mickey's Halloween Party on select nights from mid September through October. These tickets are a separate admission that you can purchase on top of your regular admission, or you can come to enjoy just the party (and a few extra hours at Disneyland beforehand). This year Halloween is on Thursday October 31 2019. 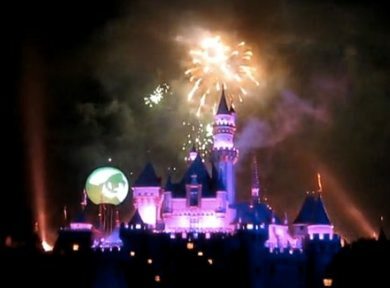 What are Disneyland opening and closing hours? Disney published these only 4-6 weeks in advance. So if the time says "tent" that means tentative, based upon last year's hours. The early morning admission hours are also shown. Note: On select nights in October, Disneyland closes early for Mickey's Halloween Party at 6 PM or 7 PM. These are tentative ("tent") based on last year, but those dates and times may change. *If you are lucky enough to have a ticket with early admission privilege, the early admission hours for Disneyland (DL) or California Adventure (CA) theme parks are one hour before regular park opening time. **Some Disney annual passes are blocked on certain days. All passes are good unless listed here as blockout days. Disneyland passports with blockout dates include Signature (S), Deluxe (DL) SoCal (SC) and SoCal Select (SCS) annual passes.